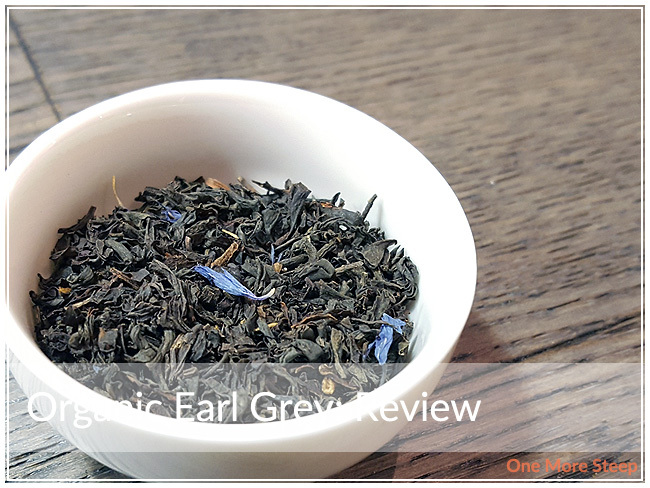 I realized a little while ago that I haven’t reviewed DavidsTea’s Organic Earl Grey yet. Which seems quite odd to me because this is one of those teas that I’ve bought repeatedly and gotten full tins of since I started this tea journey, that I almost feel like it was an oversight. I get Organic Earl Grey 100g at a time, which either means that I get a tin refilled or I get a free tin with purchase. In the case of the last time I got this refilled, there was these cute sheep tins so I opted to get the cute tin because sheep. 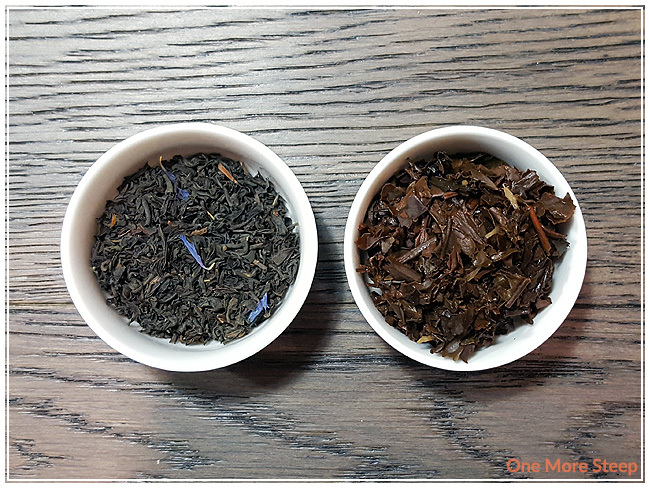 Organic Earl Grey consists of: organic black tea, cornflower petals, and natural flavouring. This tea does contain bergamot oil, which is the ‘natural flavouring’ and a staple in Earl Grey blends. 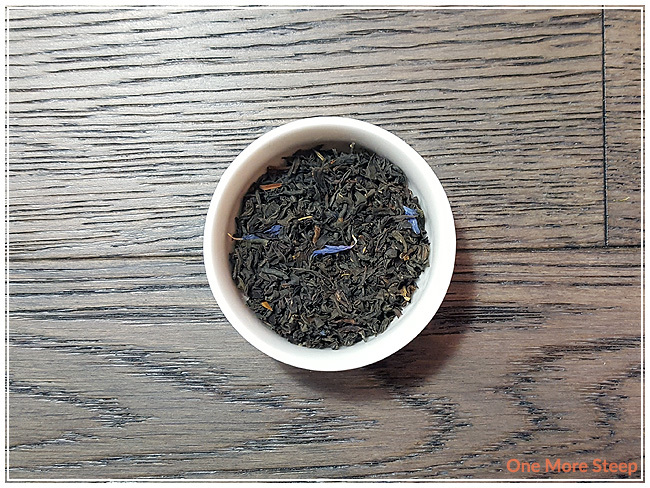 This black tea blend has a very strong aroma – it smells of oranges and it almost smells astringent, just a bit too harsh. DavidsTea recommends steeping Organic Earl Grey in near-boiling water for 4 to 7 minutes. Near-boiling means 90-95°C (194-203°F). I opted to steep at 93°C (200°F) for 4 minutes, which is the oolong tea setting on my Breville IQ Kettle. Organic Earl Grey steeps to a beautiful golden orange. The strong, almost astringent orange aroma from the dry leaf is considerably mellow in the steeped tea. I find that the aroma has a certain level of citrus, but it’s not overwhelmingly so. The flavour is smooth – there’s a light citrus aroma and flavour, with the black tea base that is robust in the way that an breakfast blend would be, but just not quite as strong. This may be because of the citrus notes. I can detect a mild sweetness, which may be due to the flower petals in this tea. I typically drink Earl Grey with a bit of sweetener (typically honey) with some evaporated milk. It’s my preferred method of drinking Earl Grey. I find that a bit of sweetener helps accentuate the citrus flavours, while the milk helps to temper some of the strength behind the black tea to make it a bit more palatable at any time of day. I resteeped Organic Earl Grey. I find the first resteep to be fairly close to the first steep, just a bit less citrus flavour but the same robustness. The second resteep tends to be weaker in flavour and colour overall. I find Organic Earl Grey to be good for just one more steep. 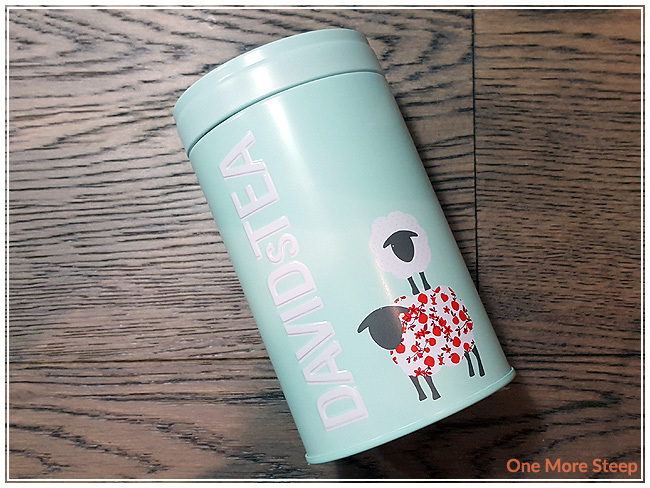 I loved DavidsTea’s Organic Earl Grey. This probably comes as no surprise. It’s not the most inexpensive Earl Grey tea out there, but it is one of the better tasting Earl Grey blends that I’ve tried. It’s a staple in my tea stash for a reason – and that’s because I just really drinking it. 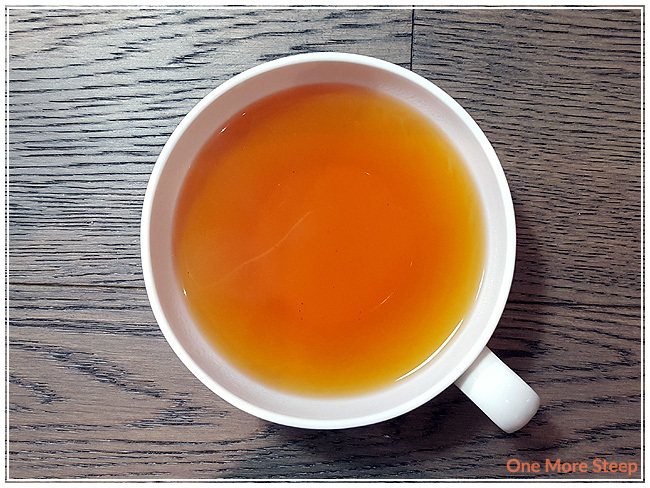 This is one of those teas that I find to be good at any time of day – although it is caffeinated so it that bothers you, probably not a wise choice after mid-afternoon.